PELMAG S.A. is a company exclusively dedicated to alternative fuels with 20 years of activity. PELMAG S.A. is active in the market of CNG since 1995 but the Directors and many of the company´s skilled workers are linked to CNG since two decades, which is from the very start of its development in Argentina. This undoubtly qualifies PELMAG S.A. among the pioneers of this "green movement", with a wide experience in all aspects of the market. 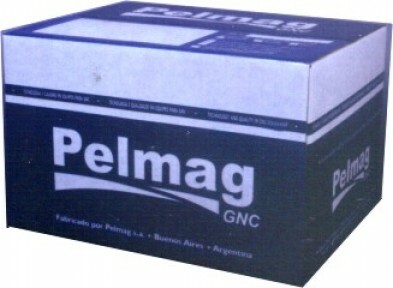 PELMAG S.A. is nowadays among the brands which more rapidly increased their importance and presence in many international markets, with more and more customers who trust in the Quality of Service of the company, and in the quality of all of our products, as well as in the experience and career of our R&D skilled personnel. PELMAG S.A. is present on the whole territory in Argentina as well as in many international markets, with a wide network of dealers, workshops and Conversion Centres, to which all the knowledge about the evolution of CNG and LPG systems is constantly transmitted , by means of constant updating and regular technical training. PELMAG S.A. is certified internationally (ISO15500:2000, ISO9001:2008) and locally (in Chile, NAG 415 NAG 417 in Argentina, INMETRO in Brazil, OGRA in Pakistan, SIRIM QAS in Malaysia, COVENIN in Venezuela, AIS037 in India). * conversion kits for systems with positive pressure in inyection engines. and to cooperate with other companies, experts in the conversion of diesel engines. The future for PELMAG s.a. lies in our continuous growing and improvement, having as milestones the quality of all products, an efficient organization and the maximum efforts to offer Total Service to all customers.